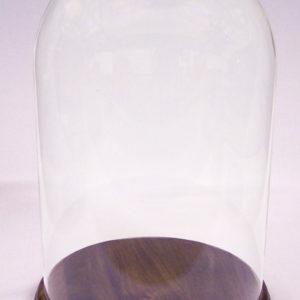 Victorian style glass dome on walnut turned base. The glass measurements are 10.2 tall with a 7.4 cm diameter base, mounted on a wood base of 9.5 cm diameter. A perfect display item for model soldiers or pocket watches if you utilize our display stand. 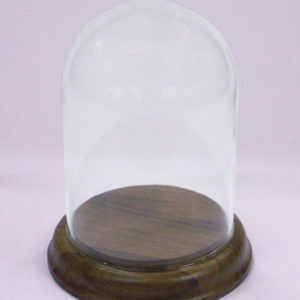 Victorian style glass dome on walnut turned base. The glass measurements are 17.6 tall with a 9.8 cm diameter base, mounted on a wood base of 12 cm diameter. A perfect display item for model soldiers, figurines & dolls. 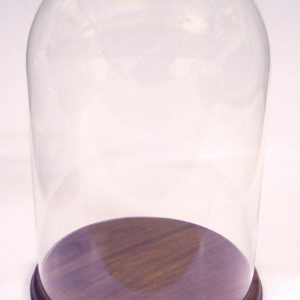 Victorian style glass dome on walnut turned base. The glass measurements are 25.5 tall with a 13.8 cm diameter base, mounted on a wood base of 16 cm diameter. A perfect display item for model soldier figurines, dolls, clocks & wildlife models. 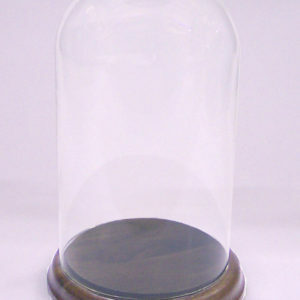 Victorian style glass dome on walnut turned base. The glass measurements are 30 cm tall with a 19.7 cm diameter base, mounted on a wood base of 22.2 cm diameter. A perfect display item for model soldiers figurines, dolls, clocks & wildlife models.